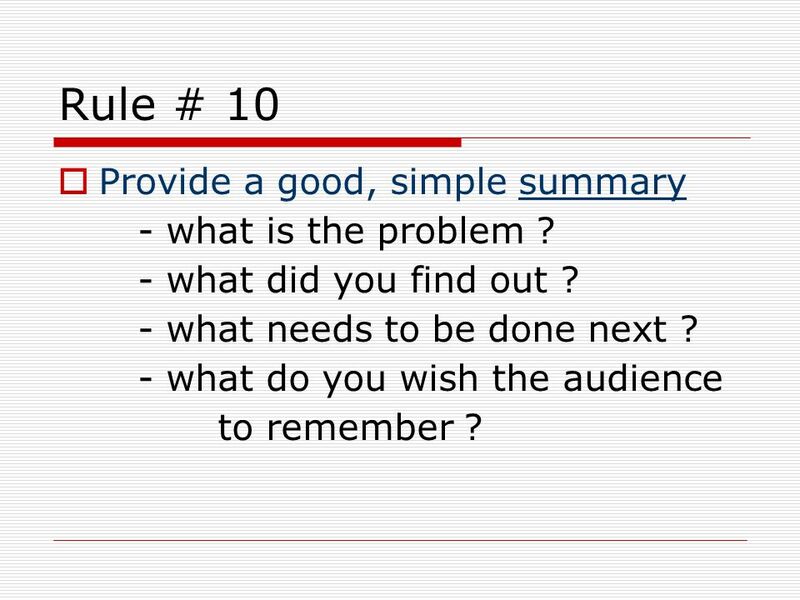 12 Rule # 10 Provide a good, simple summary - what is the problem ? - what did you find out ? - what needs to be done next ? 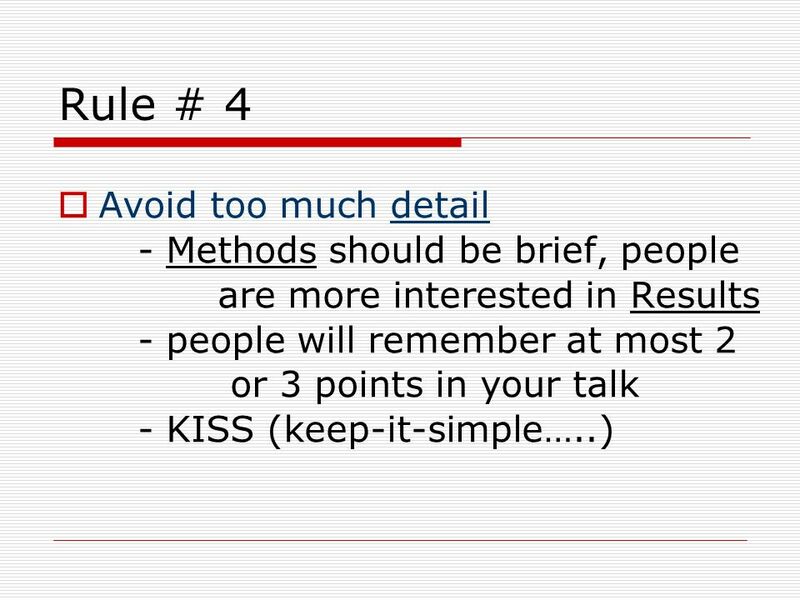 - what do you wish the audience to remember ? 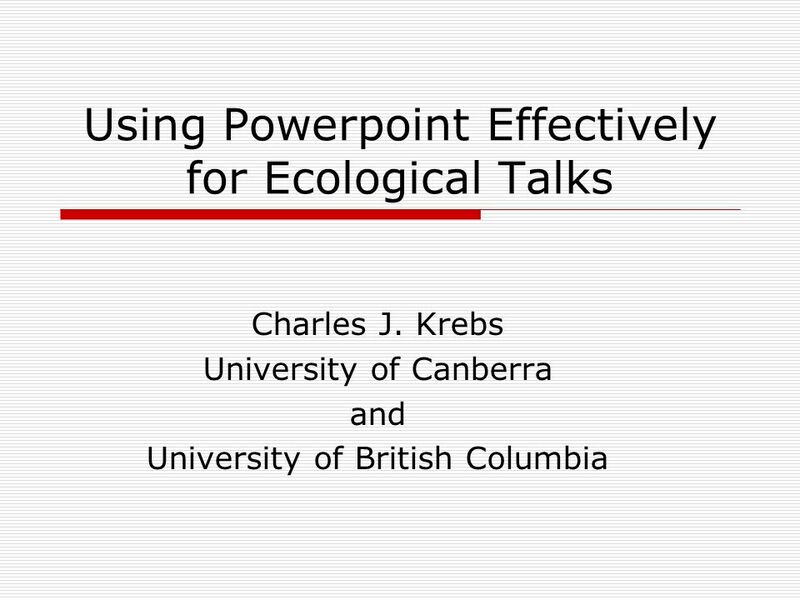 Download ppt "Using Powerpoint Effectively for Ecological Talks"
A PowerPoint Guide to PowerPoint. 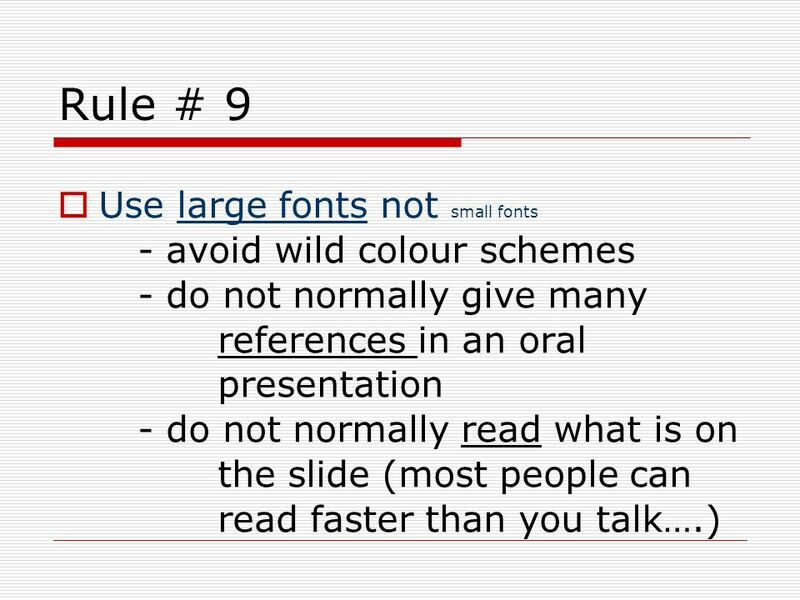 Overview: When giving a PowerPoint presentation, it is important to remember to be clear, concise, and informative. 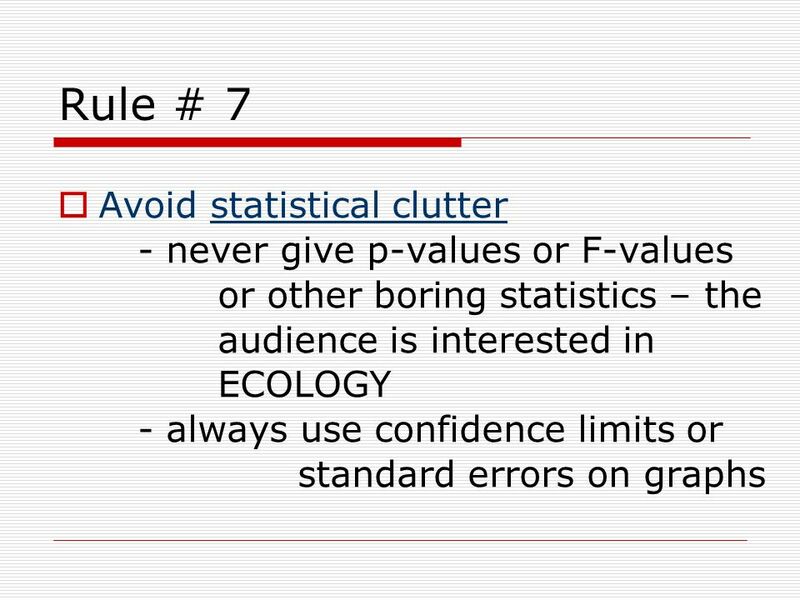 Creating Presentations Scientific Soft Skill Seminar Petr Kmoch CGG MFF UK. 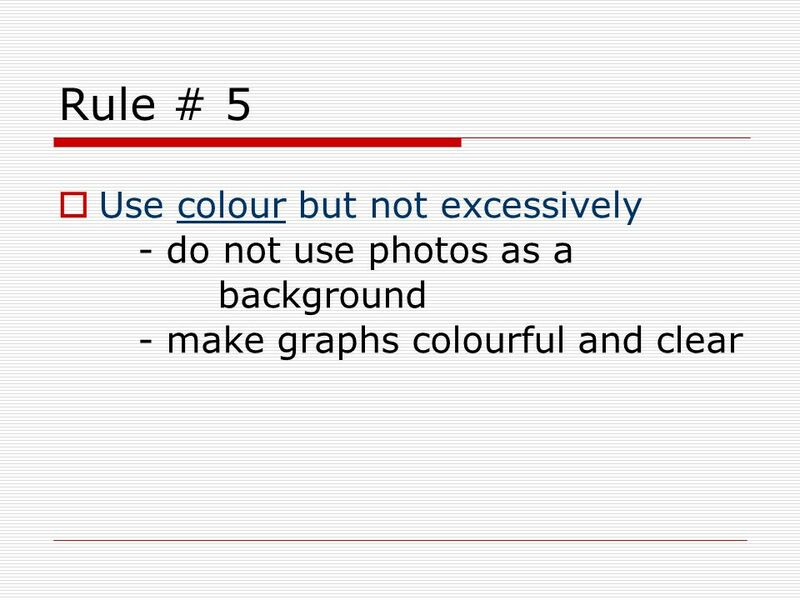 Making Good PowerPoint Slides. 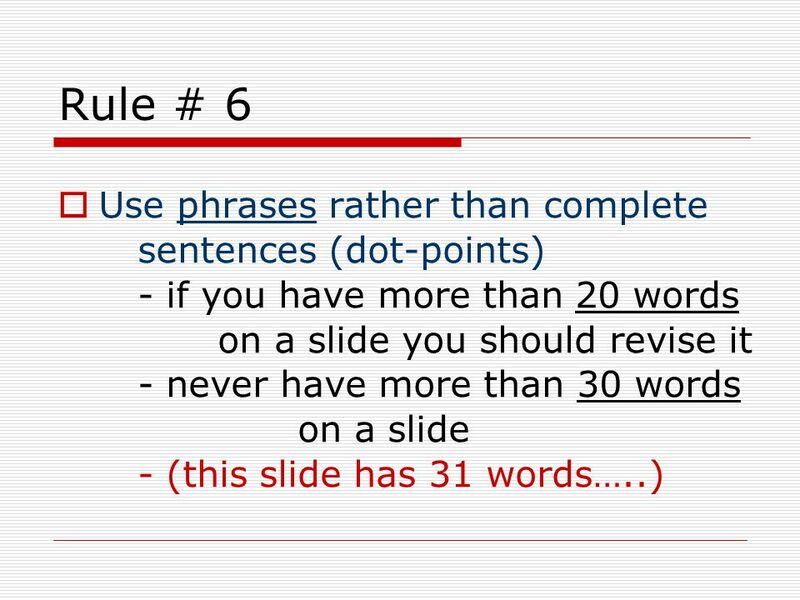 Points to be Covered Outline Slide Structure Fonts Color Background Graphs Spelling and Grammar Conclusions Questions. 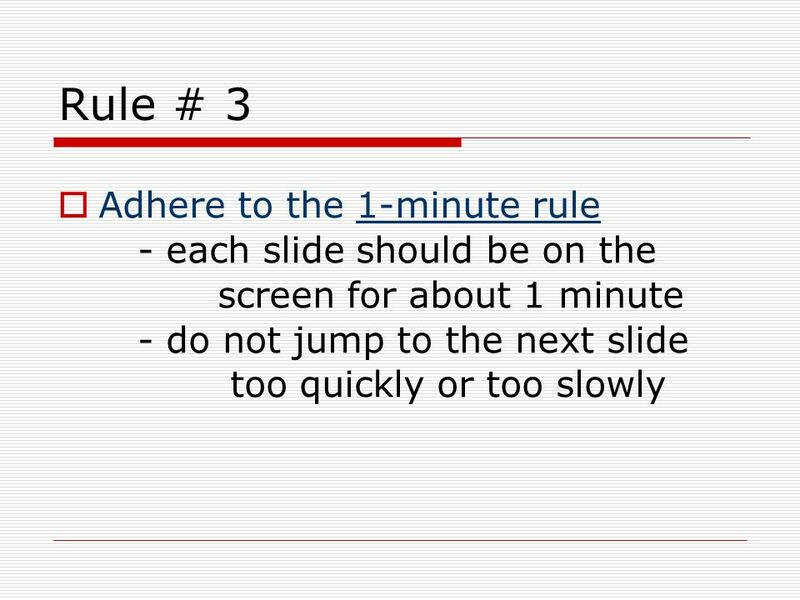 Tips for Creating Electronic Presentations. Outline Overview / Basics Content Visual Effects Presentation Organization and Coherence 2. 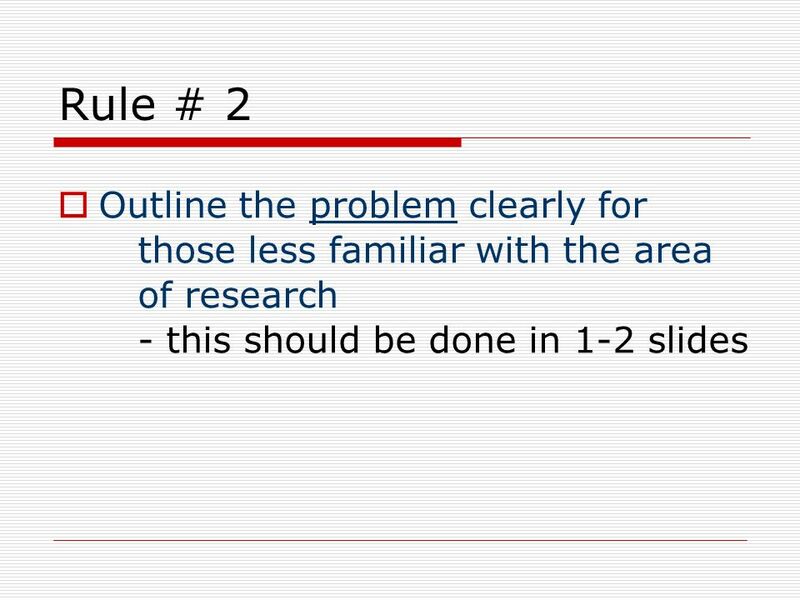 ISM20 – Project management and Research Methods Research Methodology Making presentations. 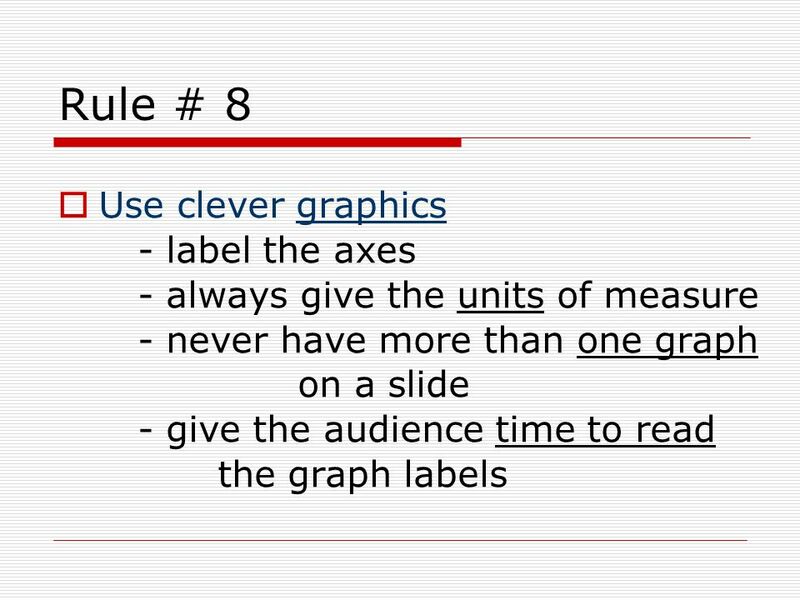 Jessica Purcell Suggestions for giving effective presentations that will captivate your audience in 16 easy steps X. 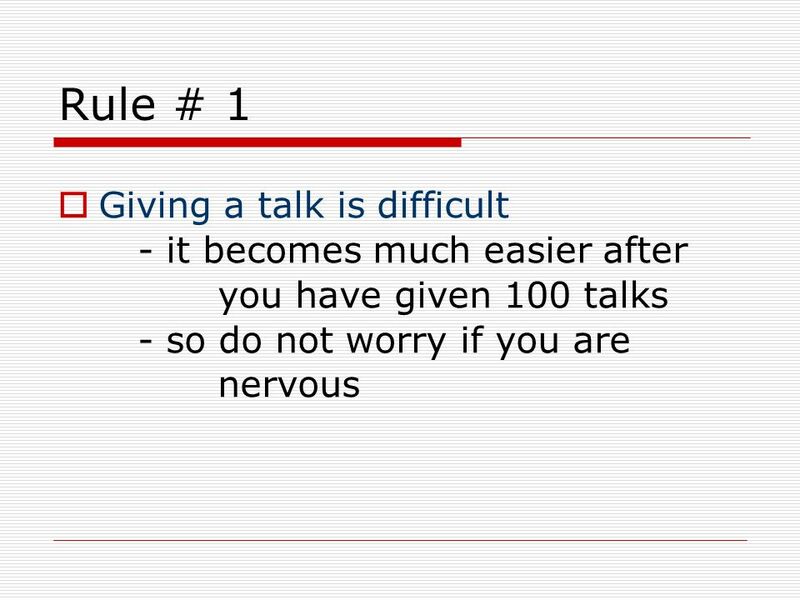 How (Not) to Give a Tlak Prof. Eric Gawiser Rutgers University Department of Physics & Astronomy. 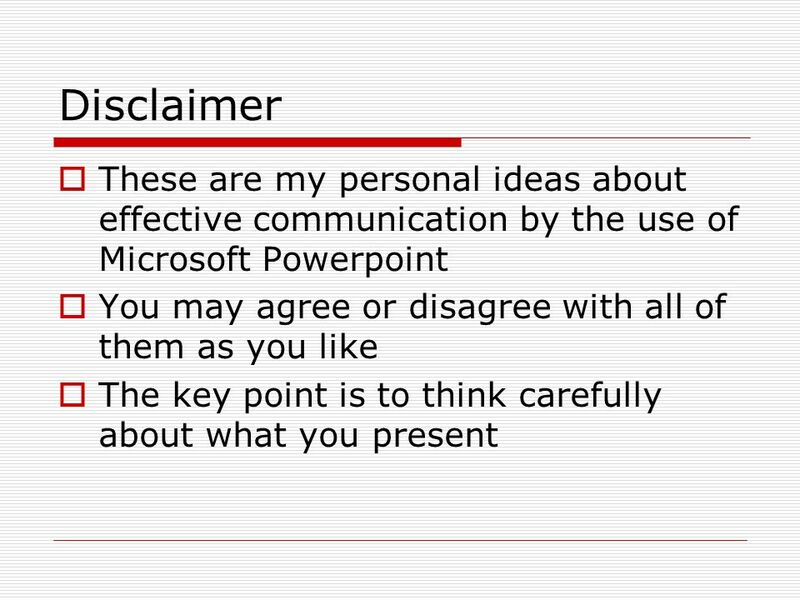 Before we start… Open Power Point on your computer. Making a Presentation Discussion Points Masters-Doctoral Seminar.